Las Vegas CPR in Nevada is CPR training provider of quality classes taught by certified instructors. There are a total of eight different classes, five training programs and three re-certification classes. All of these programs are offered at the cheapest possible rates. Other providers in the city can’t compared with Las Vegas CPR’s program rates. If you have decided to sign up for CPR training, visit Las Vegas CPR’s website and use the online application form to begin your enrolment. You can also send in your application over e-mail or the telephone. The staff still encourages students to sign up in person to easily complete all of the enrolment and payment details. Using a splint on a broken leg to immobilize it and prevent additional injury. The two categories for CPR training are Basic Life Support (BLS) and Advanced Life Support (ALS). Basic programs are short and focus on skill building, particularly skills in giving chest compressions and rescue breaths. 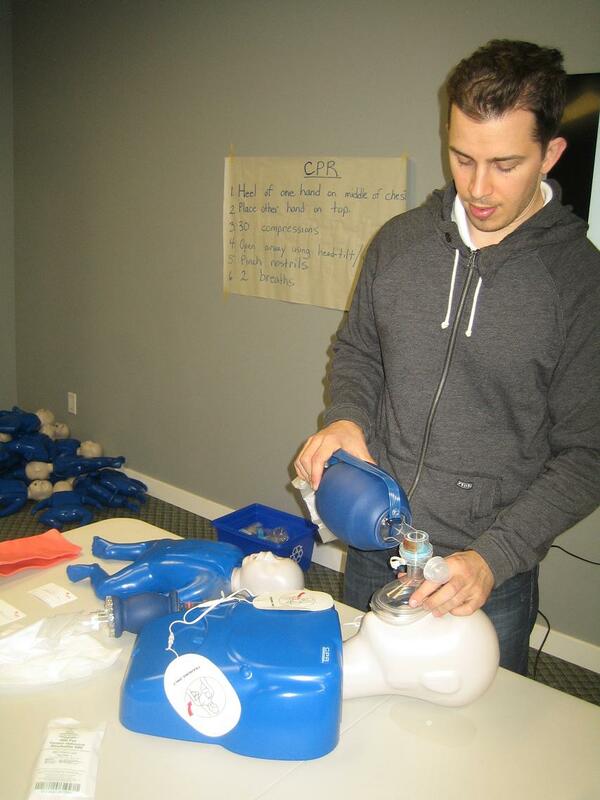 A few first aid skills are also included in the basic programs, along with automated external defibrillation training. Seal the bag valve mask over the victims mouth and give two rescue breaths after every 30 chest compressions. Advanced Life Support programs are much longer, taking two days to complete. They are complex programs for healthcare providers and professionals. Unlike BLS programs that focus on basic skills, ALS program are able to teach all of the links in the AHA’s Chain of Survival: (1) recognition of cardiac arrest, (2) start of CPR, (3) defibrillation, (4) advanced life support, and (5) post-cardiac arrest care. BLS programs are only able to focus on the first two to three links.Basic Heartsaver CPR – 4 hours, general public class; one-person rescue, AED, and first aid (certification is optional for this class). ALS program also focus on pharmacology, assessment, and diagnostic tests (ECG reading). ALS programs can only be taken by HCPs with training credentials for BLS for HCPs. They also need to pass a pre-test, consisting of a practical and written test to qualify for the program. Certificates are valid for two years after they are issues. They can be renewed for another 2 years through a re-certification class once they approach expiration. Expired certificates are not honored for renewal at Las Vegas CPR. The rescuer has to retake the training program.